In the second part of our Outback Queensland article, we have a look at a few more places in the outback. With summer fast approaching, spring is still a great time to head to the outback, before it gets too hot and enjoy the climate and all the attractions the region has to offer. You can either choose to go off and explore yourself, or take advantage of local knowledge and jump on board with some great tour guides that can show you all the places you may not have otherwise found. 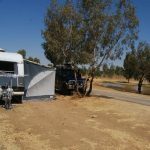 Travel West Outback Tours & Red Dirt Tours are two current guides that are both making Free Range Camping Members special offers. Below, we have selected another five great articles from OQTA which showcase the best the region has to offer, including a full list of Tour Guides, Places to See, and where to take the best photos in the Outback. 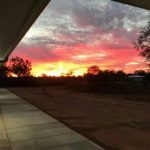 The beauty of the outback is discovering new locations and towns you may never have even heard of yet. 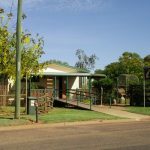 Some of the smaller towns in the outback have a totally different lifestyle to what you may be used to. 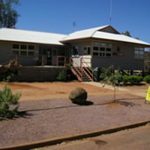 Below are three small outback towns with interesting histories and offering a whole range of new experiences. Jundah – Come over, visit and enjoy the tranquil lifestyle, scenic river views and experience true Outback hospitality. Goovigen – A small rural village with heritage buildings that are restored to their former glory. Enjoy fishing with locals in Callide Creek, Lake Victoria, and Lake Pleasant a few kilometres further north. 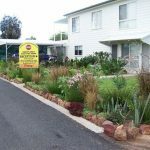 Injune – The perfect town for a relaxing historical walk, breathtaking natural landscapes, and a great place to base and explore Carnarvon Gorge National Park. At Free Range Camping, we love to support those that support us. Below are some local outback businesses and campsites offering our Premium Club Members exclusive Offers or Discounts. So if you are travelling in the outback, and you are a FRC Premium Club Member, don’t forget to call in on these places and show your Member Card to take advantage of any Offers or Discounts. If you are not a member and wish to learn more on how to become an FRC Premium Member here to find out more.